Reflecting the history of New Orleans as the major trading point with the Caribbean, our B&B Guest Rooms are well appointed in a mix of traditional New Orleans styles. Elegant in their simplicity, each one has been carefully planned for a relaxing night’s sleep. Guest Rooms include: Private bathrooms with shower, hardwood floors, armoires, ceiling fans, guest-controlled air conditioning, cable televisions, microwave and mini-refrigerator, and radio/alarm clocks. Guest Rooms 1 & 3 feature direct access to the namesake wrap-around balcony. PLEASE NOTE: Reservations are not transferable. Click on the above photo to take a virtual tour through our Master Suite at Balcony Guest House of New Orleans. Or you can scroll through individual photos on the right of our room accommodations. Make your New Orleans trip authentic with a room at the Balcony Guest House, located in the historic Marigny. In addition to the appointments common to all the rooms, the Master Suite includes comfortable separate living and bedroom areas. Our beautiful Deluxe Room 1, is a hidden luxury within our family owned B&B. Wake up to the vibrant city of New Orleans with this light and vibrant room featuring direct access to Balcony Guest House's beautiful and large wrap around balcony. In the springtime, you'll often wake up and the air will smell of magnolias and wild jasmine. Our balcony in the heart of the Marigny neighborhood is the perfect place to sit back with your cup of coffee and take in the scents of our city. Features 12 foot ceilings, charming queen size hard wood sleigh bed, corner armoire, and (2) French double doors opening onto our namesake wrap-around balcony. Our Deluxe Room 2 offers a beautiful armoire for storage and lots of natural light. The queen sized bed will make your nights restful and allow you to get the most out of your trip to the Big Easy. New Orleans offers visitors so much to do and see, no matter the time of year. 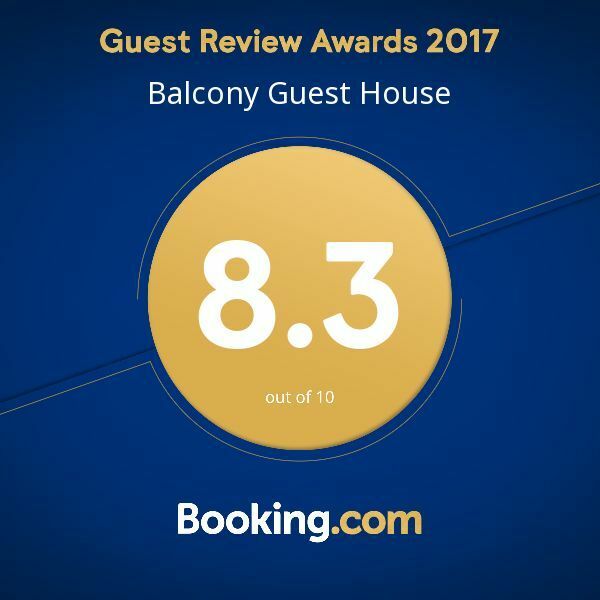 Balcony Guest House welcomes all newcomers with a complimentary continental breakfast and hot coffee available all day at our restaurant, Silk Road. Features 12 foot ceilings, a queen size hardwood sleigh bed and a Java armoire. View our interactive virtual 360 tour from Google by clicking on the photo above or scroll through our individual photos on the left. This is one of two rooms that have direct access to our large southern style balcony. Wake up to the sights and sounds of New Orleans. Balcony Guest House is located in the Marigny neighborhood of New Orleans and is (typically) quiet but still close to all the action. We're just a short walk from Frenchman Street which is home to many venues with live music and the art market. Features a queen size sleigh bed and French doors opening onto a semi private balcony. This room is furnished with traditional French New Orleans and Indochine style furniture. Our Deluxe Room 4 can be viewed above by clicking the photo to view an interactive virtual 360-degree tour. You can also view this room by scrolling through the photos on the right. Your restful night awaits you in this plush and luxuriously soft queen sized sleigh bed. New Orleans nights may end late, but you'll sleep soundly with all the accommodations at Balcony Guest House. Features a queen size Java bed. This room is furnished with traditional New Orleans and Indochine style furniture.